How much will it cost to insure my horse? 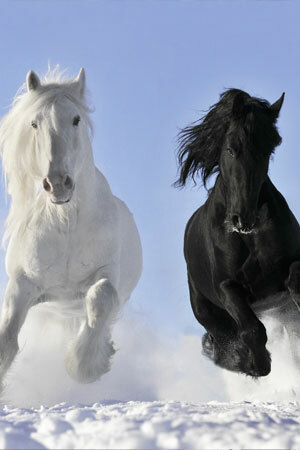 Premiums vary depending on the breed and age of the horse, the value of the horse, the use, the residence, etc. Mortality coverage is similar to life insurance and is based on the value of the horse should it die or need to be euthanized, in addition to providing for colic surgery coverage. Extended coverages are available for increasing the surgery and medical coverage, as well as loss of use, infertility, or named perils. 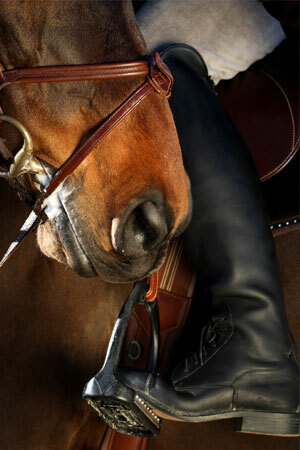 Why should I insure my horses? The cost of insurance is minimal when compared to the overall costs of maintaining your horses, paying for colic surgery, or the expense incurred for legal actions. You should insure your horses to protect against the possibility of losing them to various causes, which may put you in a financial bind. While many states do have some limited liability laws to protect horse owners, in many cases you can be liable for damage done by your horse, even if you are at a boarding stable or show. You may even be liable if you simply board your horses and they cause damage. 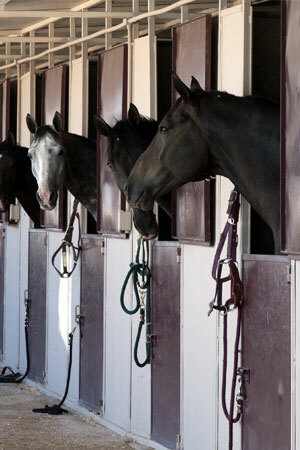 If you yourself are running a boarding business, trail or pony ride business, provide horse training, or operate a riding club, you should insure the business against liability should a horse or rider cause damage to another party. What kind of insurance do I need to allow others to ride my horse(s)? Liability coverage such as a personal horse owner's policy will typically not cover someone who rides the horse other than the owner(s). This type of insurance is used to cover you for something your horse does for which you are found negligent. Riders would need to have their own medical insurance, or may be covered under their own homeowner's insurance. Can I purchase just medical and surgical insurance? No. Medical and surgical insurance are only offered as an added option to the standard mortality. Yes and no. It depends on the type of insurance. Generally, however, some type of payment plan can be arranged. What do I need to establish the value of my horse? There are many ways to accurately value your horse, including but not limited to: a bill of sale, equine appraisal, one-half of prize winnings or training costs, performance level, etc. What is the oldest age at which I can insure my horse? Generally restrictions apply to horses aged 16 and older. At age 15, you can obtain full mortality, medical and surgical. At 16, you can generally only obtain mortality and surgical. At age 18 and beyond, mortality only, which will only cover theft or death due to certain accidents. How do I get coverage for my horse if I am just leasing? Complete and sign the mortality insurance application as the owner because you are the one purchasing the insurance. Add the owner's name as an additional insured. Is a veterinary check required for major medical and mortality insurance? Generally a veterinary check is not required for standard mortality insurance. However, some circumstances may require it, such as the age of the horse or the value of the horse. Generally, no veterinary check is required for horses valued below $50,000. You will find contact information for reporting a claim provided in the insurance documentation you received when approved for coverage. May I continue to use my current veterinarian? Yes, as long as he/she is properly licensed. Are regular veterinary checks covered? Under the major medical and surgical, nearly every illness or injury that requires calling a veterinarian out for emergency services is covered. This coverage does not include regular veterinary checks. There is no deductible for mortality and theft including colic surgery. There is no medical coverage, except for colic surgery, included in the mortality insurance. The major medical and surgical coverage, which is available as an option with the mortality, does have a deductible. Some equine business insurance (i.e. CCC insurance, for boarding stable businesses) have deductibles. Do I need prior approval for emergency treatment? 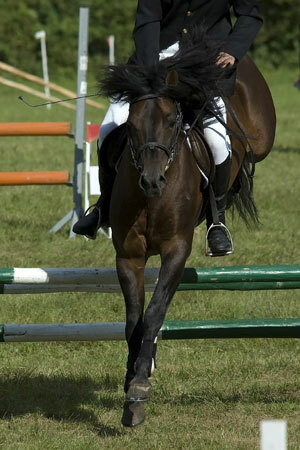 In an emergency situation, you should get treatment for your horse, and then contact your insurer. The adjusters don't want an animal to suffer or have an injury worsen. Is my horse covered during transport? Yes, horses transported in trailers are covered under mortality insurance. I'm just starting a pony ride business, how much should I budget for insurance? Due to the fact that very few insurance providers are offering this insurance any longer, premiums can be very high. As an estimate, $500,000 in liability coverage for two ponies would begin at approximately $1,400 per year. There are also a number of strict safety guidelines which must be adhered to for the insurance to be valid. Boarding: Care, Custody and Control. Care, custody and control (CCC) covers boarded horses if one of those horses is injured or dies while in your care and you are found negligent. The policy provides for the mortality or medical care of the value of the horse, up to the limit of coverage you purchase. Trail Rides: What is trail ride liability? 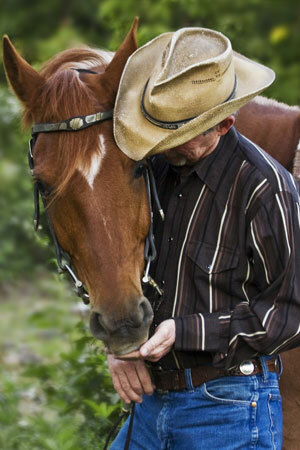 Trail ride liability provides bodily injury or property damage coverage caused by a horse and/or rider. It also provides bodily injury coverage to the rider. Club liability: What is it, and why do I need it? Club liability provides for claims made by spectators, non-member participants in an event, or the public in general. It protects the club by providing legal defense if a case is made against the club - whether groundless or substantial. If the club is found responsible for injury or property damage, it provides payment of claims, settlements and judgments. It does not protect club members from each other and it does not pay claims or property damage for those club members. Each member must be sure to carry their own personal liability insurance as well as have their own medical, accident, and disability insurance. Personal Horseowner's Liability: What is it, and why do I need it? In the event your horse breaks loose and causes a car accident, people are injured, and/or property damage occurs, this policy provides bodily injury and property damage coverage as well as legal defense costs. This insurance does not cover injury to riders. Loss of Use: What is this? External only loss of use means that in the event your horse is permanently unable to perform its insured function as a result of a visible, external, accidental and violent means of injury, you will be paid up to 50% of the amount you insured the horse for. Full loss of use could be an illness that makes him no longer able to fulfill his insured function, or that the cost of surgical or medical support is not economically viable, in which case you would be paid up to 50% of the amount of insured value. In full loss of use, you don't necessarily have to be able to "see" the injury or illness as you do with external only. 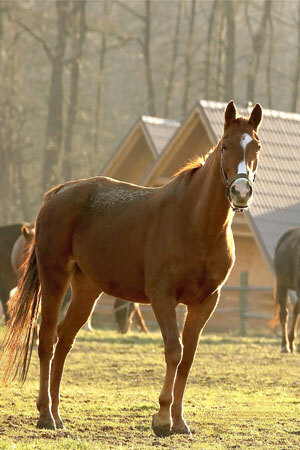 Is coverage available for pre-born horses? You cannot insure a foal until it is at least 24 hours old. You can insure the mare for mortality, major medical and surgical, but you cannot insure against a live birth. Must I have colic surgery coverage? The colic surgery coverage is included with the standard mortality insurance at no additional premium. Our Passion is Protecting Your Equine Investment.